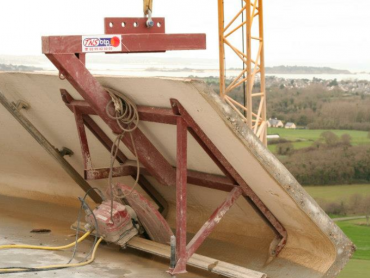 Wall Sawing provides an efficient means for precise cutting for larger and more specialised deep cutting projects to depths of 800mm through heavily reinforced concrete. The track mounted remote control operating system cuts vertically, horizontally, inverted, steps and uneven surfaces. This makes wall sawing through heavily reinforced concrete a simple task. 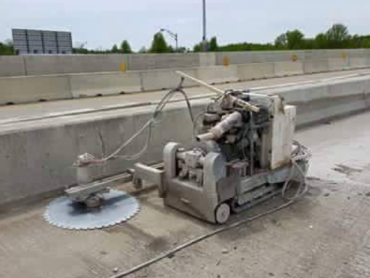 We take a great deal of pride in our ability to provide the highest level of service that you could expect from a professional wall sawing service. We strive to do the job quickly and professionally to ensure that you could move on with your project as soon as is possible. If you are in need of these services, no matter how big or small your job may be, we highly recommend that you call us first. You may think that every provider will perform the job in the same fashion, but that is not the case. Every company is different and has a different amount of experience. Some also have different kinds of equipment, which can result in a great deal of difference when it comes to how long the job will take. Fortunately, we have a great deal of experience in this field and have worked hard to ensure that we have the highest quality and most advanced equipment that works to keep our costs low. Of course, we are proud to pass these savings onto our valued customers. Using the best equipment reduces the amount of time that it takes to complete each job. This means that you can get onto the next stage of your project quickly. This saves us money and will surely work to do the same for you. There really is not much better than getting a competitive price for your services and knowing that you are also being given very efficient services as well. When getting quotes on this service you will want to be sure that you not only consider the price but how long the work is expected to take as well. One of the best aspects of our high-quality equipment is that we have the ability to cut through just about any possible wall thickness. Many companies are limited in this way because they can only handle certain jobs. We have the ability to cut easily through anything that is up to 800mm in thickness. This as about as deep as any company in the world can handle. Additionally, our equipment uses the highest level of technology to ensure that the cuts are done as efficiently as is possible. 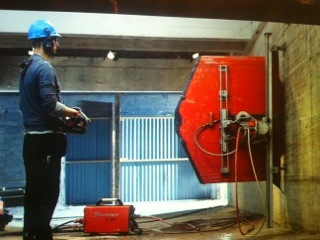 The equipment is programmed to be precise with each cut. This greatly reduces the amount of time that it takes us to complete a job. Every step is planned out in advance, allowing us to best utilized our skilled workforce to not only cut the concrete but also to remove it quickly and safely. You can rest assured that all of the work that we do is done with safety in mind as a top priority. We strive to ensure that every employee has the gear that they need to ensure that they are not at risk of being hurt on the job. Procedures are also in place and practised regularly to keep this as a major focus. The safety of anyone that could be present on the job site and in the area is taken very seriously as well. We will advise you of any changes that need to be made in order to ensure that not only our crew is safe, but anyone else that could be present is protected as well. In addition to caring for the safety of everyone that could be present, we take great pride in the fact that we have the insurance needed to take responsibility for anything that may occur while we are on the job site. While any company that works in this industry should be fully insured, that is not always the case. We, however, considered this to be absolutely imperative. We at no time will leave our clients to be concerned that they will need to use their insurance in the event that an unforeseen event does occur. We also can handle just about any wall sawing job that comes our way. We have gone above and beyond the other guys in procuring the equipment that is needed to handle even the largest and toughest of jobs. If you have been told by other companies that they simply can’t handle the job that you need done, do not lose hope. We have not had to turn a customer away due to not being able to manage the job. Not only do we have the very best equipment available, but due to our experience with many complex situations, we have the ability to problem solve anything that we encounter. We know that no two jobs are alike and work together to create a plan that ensures that we can provide the service that is needed to do the job right and quickly. We are more than happy to come to the job site and evaluate the conditions that we will be working with. Every aspect will be considered so that we can provide you with a firm quote that includes everything that will be involved. An action plan will be created to ensure that we can complete all of the work within the time frame that we state as well. While price is a very important factor in deciding which company you want to use, you should also consider the amount of time that is stated as well. Smaller companies that do not have the tools that we do at our disposal will likely take a great deal longer to complete the job. This could obviously result in lost time and money for your organization. It also can lead to higher costs within the quote itself. We are a leader in our industry for a very good reason. We provide the highest level of service at a price that makes sense. Our expertise is second to none in the Melbourne area. When looking for a quality wall sawing service provider, you will do well by giving us a call first. You will surely be pleased with us every step of the way. Big Cut Sawing & Drilling provides Wall Sawing services from Hobart to Cairns. When commercial clients need heavy-duty wall sawing in Melbourne, chances are they are not going to have a power supply that can handle today’s advanced machinery. Fortunately for Melbourne, Big Cut Sawing & Drilling can provide power even when power is not available, thanks to its fleet of 9 and 65 KVA generators. But these 1250kg machines haven’t stopped Big Cut Sawing & Drilling from providing fast, safe and reliable same-day service to the Melbourne metropolitan area for over 25 years. Concrete wall sawing, especially on a commercial scale, requires tremendous amounts of dependable energy. This is because the equipment Big Cut Sawing & Drilling invests in is the latest and most technologically advanced. Big Cut Sawing & Drilling is not willing to sacrifice quality machinery just because they require state-of-the-art generators. This is a testament to the company’s willingness to continually invest in the best technology available, confident that the results will speak for themselves. And they do. Big Cut Sawing & Drilling expanded to serve Victoria in 2001 and has been providing portable power to special concrete projects across Australia since 2005. 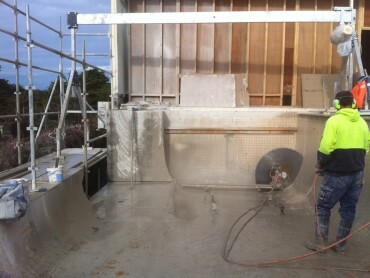 Commercial concrete sawing in Melbourne has continued to evolve to the incredible stage it is at today. 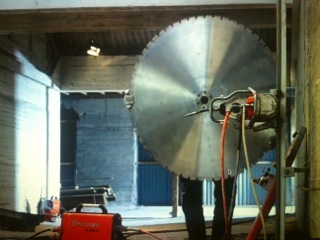 Big Cut Sawing & Drilling invests in track mounted, remote controlled wall sawing operating systems. 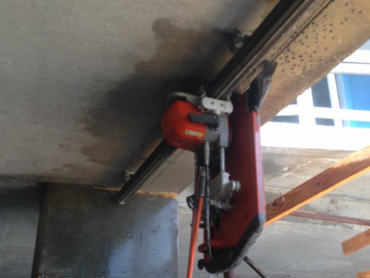 Able to cut through depths of up to 800mm of heavily reinforced concrete, it’s hard to imagine a commercial wall sawing project in Melbourne that the professionals at Big Cut Sawing & Drilling can’t handle. 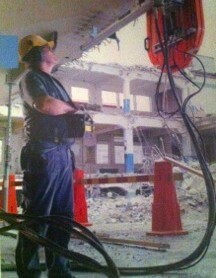 But depth isn’t the only advantage track mounted saws bring to the table. They easily cut through vertical, horizontal, inverted, stepped and uneven wall surfaces. The remote-controlled nature of the saws also allows Big Cut’s expert operators to safely make the best and most efficient cuts. Seasoned professionals and technology at the forefront of the industry is why Big Cut Sawing & Drilling has a flawless sawing safety record. No power? No problem. 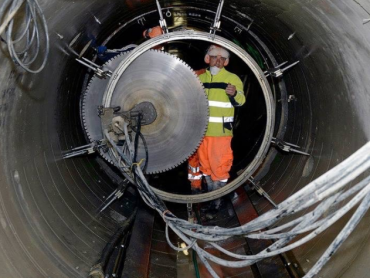 Big Cut Sawing & Drilling transports its 9 and 65 KVA generators wherever they are needed. With over 80 BHP of on-demand power, even remote locations and in-progress construction sites can enjoy world-class service and precision cuts. Commercial wall sawing in Melbourne has been revolutionised by Big Cut Sawing & Drilling’s extensive stock of equipment, same-day service and commitment to complete customer satisfaction. With over 25 years working within the residential, commercial, industrial and civil industries, Big Cut Sawing & Drilling realises that not only are happy clients the key to their success, but also that there is no sawing problem that cannot be solved. They have confined-space qualified operators who have achieved full insurance. They have built their reputation on their ability to maintain strict time frames and budgets. They assess every project individually and cater to every client’s needs, allowing them to offer personalised concrete sawing in Melbourne at a competitive price. Whether it’s about the best equipment or the best professionals in the industry, Melbourne’s own Big Cut Sawing & Drilling is the complete, tried and true package. 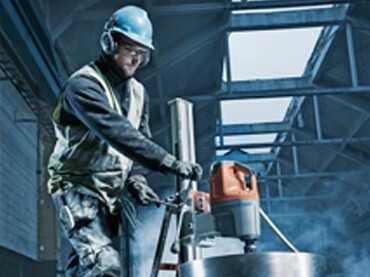 Big Cut Sawing & Drilling has a team of experienced and qualified operators specialised in all forms of Concrete Cutting, Concrete Drilling and Concrete Demolition. Working with powerful equipment requires skill and experience along with a high level of safe work practices. When it comes to customer service, our team are here to help. Big Cut Sawing & Drilling go the extra mile to ensure you get the service you deserve and expect. Big Cut Sawing & Drilling offers a personalised service. All of our clients are important to us and we strive to give 200% on every job we commit too. We take pride in our work and we deliver on our promises. 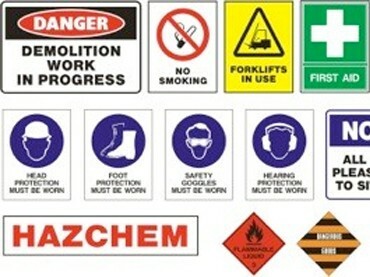 Health & Safety issues, HAZARDS & RISKS, are site specific. These are identified and addressed on all job sites. Prior to commencement of works, the appropriate control measures will be put into place to eliminate all incidentals. Successful management of O.H&S in the work place relies on COMMITMENT, CONSULTATION and CO-OPERATION. All employees understand their role in making the work place safer. Achievement of client satisfaction through quality delivery and quality service is a primary goal of Big Cut Sawing & Drilling. We aim to achieve such client satisfaction through meeting and surpassing all of our clients requirements. In order to achieve these goals, Big Cut Sawing & Drilling ensures that all employees possess the necessary skills and experience and are provided with the necessary equipment, resources along with appropriate training to fulfil these goals. Our success is measured by the continuing endorsement and satisfaction of our clients.